The Wedding Industry Supplier Network is a growing business network of UK based wedding industry suppliers. Our UK wide events are a place where industry professionals can come together in a friendly and supportive environment and network with others in their industry. Whether you have been in the industry for years or have just started, our events are great for every level of wedding business. TWISN was founded by Katie & Roxy. The Wedding Industry Support Network offers virtual networking, support and training specifically for the wedding industry. Events held across the UK. 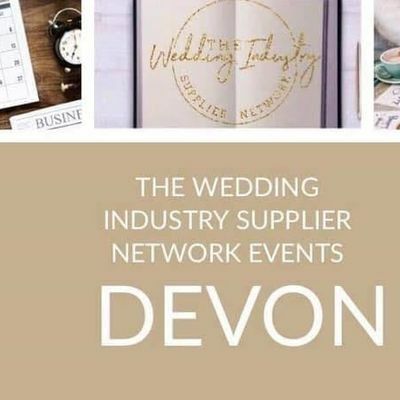 THE WEDDING INDUSTRY SUPPLIER NETWORK FACEBOOK GROUP IS OPEN TO ALL WEDDING COMPANIES AND SUPPLIERS IN THE UK WANTING TO NETWORK AND SHARE EXPERTISE, EXPERIENCES AND SUPPORT. THE TWISN RESERVES THE RIGHT TO DENY ACCESS TO THE GROUP OR REMOVE INDIVIDUALS FROM THE GROUP AND OR DENY ACCESS TO EVENTS SHOULD THEY BE DEEMED NOT SUITABLE FOR MEMBERSHIP. THE TWISN MEMBERS ARE RESPONSIBLE FOR THEIR ANY CONTENT THEY MAY POST OR TRANSMIT THROUGH THIS AND ANY OF OUR OTHER GROUPS UNDER THE TWISN NETWORK UMBRELLA. THEY WILL BE IDENTIFIED AS THE ORIGINATOR OF POSTS AND SHOULD ACT RESPONSIBLY. ANY POSTS THAT DO NOT SUPPORT OUR VALUES OF POSITIVE NETWORKING WILL BE REMOVED. NO EXPLANATION NEEDS TO BE GIVEN. THE TWISN DOES NOT GUARANTEE THE ACCURACY OR QUALITY OF CONTENT POSTED. POSTS AND CONTENT INCLUDING VIDEO SHARED IN THIS GROUP, OPINIONS OF REGIONAL COORRDINATORS OR ADVICE GIVEN AT OUR EVENTS DO NOT NECESSARILY REPRESENT THE VIEWS OF TWISN. TWISN ACCEPT NO RESPONSIBILITY OR LIABILITY FOR ANY SUCH LOSS INCURRED BY THE USE OF SUCH CONTENT OR SUCH ADVICE. POSTING OF UNSUITABLE CONTENT OR INAPPROPRIATE BEHAVIOUR AT ANY OF OUR EVENTS COULD LEAD TO A BAN FROM THE GROUP AND REFUSAL TO EVENTS WITHOUT REFUND. TICKET ENTRY WILL BE REQUIRED PRIOR TO THE EVENT AND CANNOT BE PURCAHSED ON THE DOOR. REFUNDS FOR CANCELLED PAID FOR EVENTS WILL BE PROCESSED BY TWISN ON NOTICE OF CANCELLATION, THEY WILL AUTOMATICALLY PROCESS REFUNDS AND IT WILL BE CREDITED BACK TO YOUR ACCOUNT WITHIN 7-10 DAYS OF THE EVENT DATE AND WILL AUTOMATICALLY BE REFUNDED TO THE PURCHASE CARD. THERE WILL BE NO NEED TO CONTACT US. FOR EVENTS THAT HAVE BEEN RESCHEDULED THE TICKETS CAN BE TRANSFERRED TO THE NEW DATE. SHOULD THIS DATE NOT BE SUITABLE PLEASE APPLY FOR A REFUND BY CONTACTING TWISN. YOUR STATUTORY RIGHT TO CANCEL ATTENDENCE, TICKETS CANNOT BE REFUNDED, EXCHANGED OR CANCELLED AFTER PURCHASE EXCEPT FOR THE TERMS LAID OUT PREVIOUSLY. BY PURCHASING A TICKET FROM US YOU ARE AGREEING TO THE FOLLOWING: YOU GRANT THE TWISN PERMISSION THE THE USE OF IMAGES AND SOUND ON AUDIO OR VIDEO BE USED BY TWISN WITHOUT PAYMENT OR OTHER CONSIDERATION. IMAGES MAY BE EDITED OR COPIED, EXHIBITED, PUBLISHED OR DISTRIBUTED. ADDITIONALLY YOU WAIVE THE RIGHT TO COMPENSATION OR ROYALTIES FOR USE OR INSPECTION OF THE FINAL PRODUCT BEFORE USE. THE IMAGES MAY BE USED WITH AN UNRESTRICTED GEOGRAPHICAL AREA. PHOTOGRAPHIC, OR VIDEO RECORDINGS MAY BE USED IN PROMOTIONAL MATERIALS, FACEBOOK AND OTHER SOCIAL MEDIA CHANNELS, PINTEREST, TWITTER, INSTAGRAM AND OTHERS. EMAIL NEWSLETTERS AND OTHER PROMOTIONAL RESOURCES. YOU WILL BE CONSULTED ABOUT THE USE OF IMAGES USED IN A WAY THAT HAS NOT BEEN MENTIONED ABOVE. THERE IS NO TIME LIMIT NOT AMOUNT LIMIT ON THE VALIDITY FOR RELEASE NOR USE AND NO GEOGRAPHICAL LIMIT ON WHERE THE PROMOTIONAL MATERIALS MAY BE USED. THIS RELEASE APPLIES TO PHOTOGRAPHIC, AUDIO AND VIDEO RECORDINGS BY TWISN OR ON BEHALF OF TWISN BY ITS EVENT COORDINATORS OR BY ANY OTHER INDIVIDUAL PAID OR OTHERWISE INSTUCTED BY TWISN TO DO SO FOR THIS EVENT AND THOSE HELD GOIING FORWARD. THE RELEASE DOES NOT APPLY TO MINORS AND THOSE UNDER THE AGE OF 16.